Our goal is to provide a positive insight into what Freemasonry has to offer. 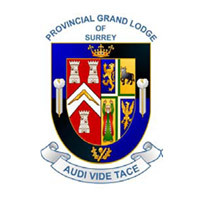 Within these pages you will find out about Freemasonry in general, about Cranleigh Freemasons and the Province of Surrey. Every true Freemason will show tolerance and respect for the opinions of others and behave with kindness and understanding to his fellow man. Freemasons are taught to practice charity, and to care, not only for their own, but also for the community as a whole, both by charitable giving, and by voluntary efforts and works, as individuals. If you feel that you have the qualities that make a good Mason read more about Freemasonry or contact us for more information. That is true – it also gives us great friendships with people we know we can trust.